Warm rose-pink with a greenish white throat. Very floriferous. 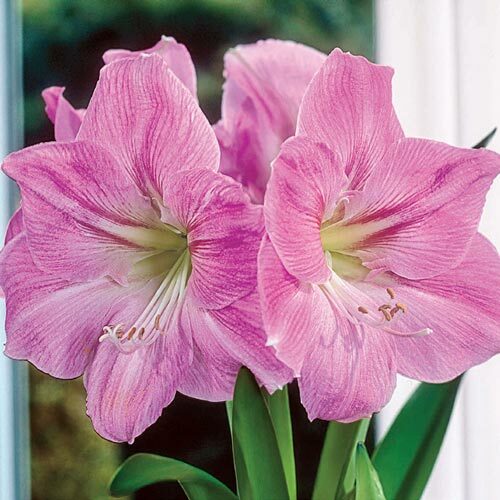 Specially selected bulbs are treated and guaranteed to bloom in 6-8 weeks. 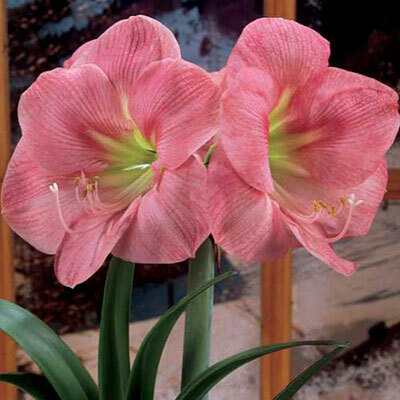 For Christmas blooms, plant around Nov. 15-20; for Thanksgiving blooms, plant around Oct. 15-20. 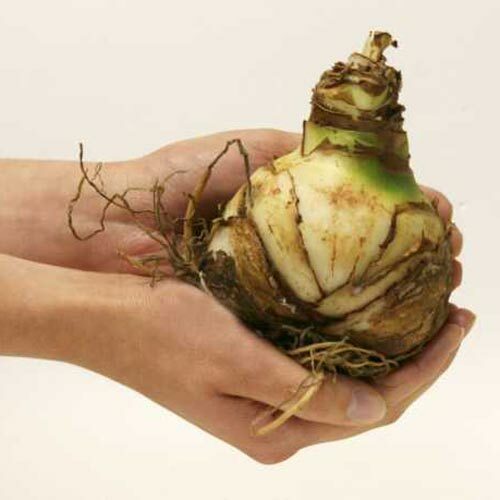 To stagger planting and blooming, store bulbs at about 50°F.